Visual storytellers, using the latest innovation and techniques to excite and engage audiences across a wide range of industries in the public and private sectors. 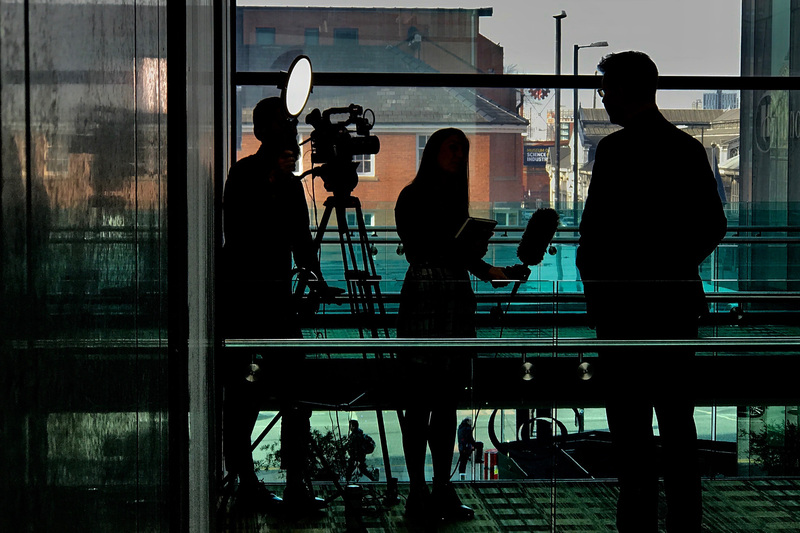 We are specialists in corporate video production, working over the past 13 years with iconic brands and world-renowned organisations, including; Cisco, JCB, University of Bath and Expedia. Our talented team are specialists in crafting films and animations across the full production process, including; producing, project management, script writing, set design, editing, animation, camera operation and sound design. We love to take the time to get to know and understand our clients’ business and audiences, so that when it comes to creating video content, we surpass expectations every time! Want to talk about how we can work together? Call us, or pop into our offices for a cup of coffee and our full attention.